Oak Park is the suburb of choice for many that don't want to leave Chicago, but must. There are many things that are Chicago-like... the goofy Cook County Board governs all, taxes and more taxes, dense blocks of single family homes or multi-units, bungalow architecture, people walking rather than driving...and good restaurants. "Parking is generally prohibited on all streets from 2:30 - 6 a.m., seven days per week, year around, except when allowed by permit or pass. The overnight parking restriction dates back to the late 1920s. Overnight on-street parking of cars bearing permits is only allowed in multifamily housing areas, except in front of churches, schools and parks and on blocks where housing is more than 50 percent single family.In areas of Oak Park not zoned for multi-unit buildings or designated as permit areas, the overnight parking ban remains fully in effect." It's a little strange going down a dense Oak Park block of homes at night that looks like a Chicago street but with no cars parked anywhere. Few cars are parked on the streets during the day as well. When guests need to park overnight, you must call the car in to the Village. However, some parking restrictions are worth a look. As the sign above suggests, after two inches of snow cars must move on even or odd calendar days so plows may clear the streets. Sounds like a good idea. I'm talking to you Chicago. Does anyone think moving cars (like we do on regular street cleaning days) is a good idea during snow storms? I don't know where we'd put the cars, but to me... it's worth the one day of Hell to quash dibs! Read more Oak Park posts here! We've had a few of our recent clients willing to consider town houses along with their single family home hunt. While they are willing to shift neighborhoods for the single family house (Lakeview, Northcenter, Lincoln Square), the town houses must be in top rated school attendance boundaries Like Abraham Lincoln in Lincoln Park or James G Blaine in Southport Corridor and have a low assessment (if any). Fee simple town house is best, but rare. Single family homes are a lot of work, and for the the most part, town houses are less work. Outside of price and location I feel the commitment of single family home upkeep is many times the deciding factor for city dwellers buying a home. However, for many of us, the work we put into our single family homes (our castle, our "piece of the pie") is a labor of love. It's what we do! I mean, what would we do with all that spare time? If you are looking in the $600,000 plus range for a single family home, you may also like some of the town house options that will afford you great locations with excellent schools in Lakeview and Lincoln Park. The $600,000 town house will get you a nicer finish level, good size, a master bath, a garage (in some cases two car garage) and good location near transit and...maybe your elementary school of choice. The $600,000 or below single family home may give you some of these things, but you'll most likely compromise on others. Speaking of compromise; you can go with this or you can go with that! In certain segments of the Chicago housing market, there is little use in pricing "a little too high" and expecting to negotiate all those offers that come in. The reality is if you are priced too high, no one will offer...anything. If we can find several good comparable sales (and many times there are few to find in a six month period) a seller should be pricing slightly below those in addition to showing in top condition to have a high likelihood of securing a strong offer. 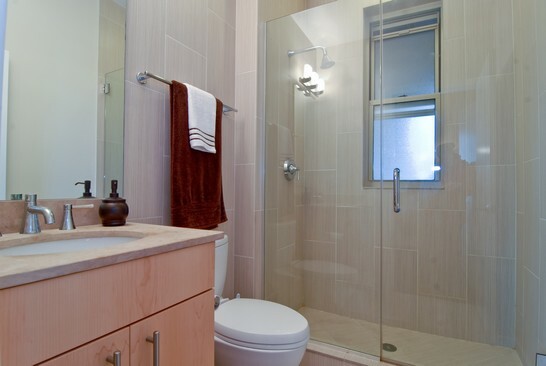 One tough segment is two bedrooms, one bath condo units across the North Side of the city. There are many variations: with decks, without decks, high assessment, low assessment, parking, no parking. When we zero in on the true market comparable and what the likely competition is (including alternative neighborhoods) we suggest a price range that will likely illicit offers. Our vast anecdotal experience of working everyday with other buyers and sellers allows us to suggest true pricing ranges. Other factors include rental parity, interest rates, finish level, views and of course...location. Unfortunately, many sellers would like to list for sale at or above the highest comparable sold price in the past 12 months thinking they will "have more room to negotiate". The reality is, the tighter you price to the most probable sale price range, the higher the price and better all around deal you will get. Sellers will also avoid months of disruptions to their lives that also cost them time and money. 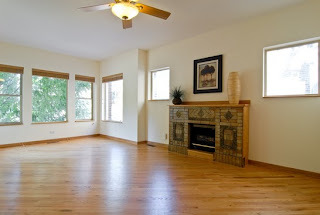 Read more home selling tips here! Two of our favorite neighborhoods choose new aldermen tomorrow (Tuesday) to replace long time office holders. Both Lincoln Park and Lincoln Square where we live and do much of our real estate business have strong Alderman candidates and races. There are many of the 50 Alderman offices up for grabs due to open seats and strong challengers (not to mention an open mayoral seat!). Chicago will effectively be changed for sure. Enjoy the election and vote! Lincoln Park gets a new Sheriff tomorrow! I snapped a shot of this home at West Addison and North Wayne in Lakeview's Southport Corridor last weekend. It stuck out from most newer construction from the past 10 years for the simple fact that it doesn't "stick out". When looking straight at the home from the front, you might think it's a 19th century farmhouse or two flat converted to a single family home. The architect also did a great job "hiding" the large, expansive rear of the home. The house is taller than original structures, but the pitched roof and gable blends in nicely opposed to the powerful squared-off Georgian style you mostly see from new construction in the area. Another advantage to this tasteful home is the fact you are a couple minutes walk to Julius Meinl Cafe on the next corner... this surely was not the case from your farmhouse in the 19th century! Check out all of our House of the Week posts here! 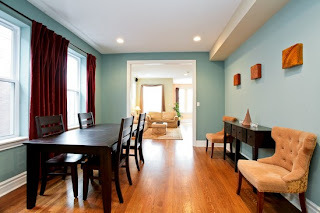 Call us to find or sell a home in Lakeview's Southport Corridor area. This luxury new construction home on North Lakewood has a "sold" sign on it (it's not yet listed or entered into our local MLS). It should achieve over $2,000,000. I was showing homes in Lakeview's Southport Corridor this past weekend and noticed a good number of sold homes over $1,000,000. We also saw several homes under construction and two flat conversion projects (gut renovation of a two flat to a single family home) as we made our way around the neighborhood. Within the boundaries of West Belmont to West Irving Park Road going north and between North Racine to North Ashland going west, ten single family homes have sold over $1,000,000 over the last six months. Four of the homes had sold for over $2,000,000. The highest sale in this area was $2,700,000. We are now just entering the traditional single family home buying season. In our expert observation, we are seeing many more new gut rehabs and new construction homes entering the market on the North Side as we predicted last year. This is especially true for neighborhoods north of West Diversey Avenue where many folks have been able to buy land and run down homes in order to bring new products to the market. Here's a total gut conversion of a two flat in action in the heart of the Southport Corridor district. I think the newly built and "green" Jewel Food Store is bringing in the big shooters again! This "vanilla box" rehab offers 4 bedrooms, three baths, garage, deck and yard, cenral air and laundry room for $499,000 in a nice location of Lincoln Square. Finishes are cheap, but it's a nice clean, big house. Last weekend after "The Storm" I was out showing Lincoln Square single family homes in the $500,000 range... give or take $50K. We focused on east of Western Avenue with a reasonable ability to get to the Ravenswood Metra or Brown Line when needed. My clients can drive to work now, but may need the Metra in a couple years. This is no small task at $500,000 depending on the buyer's expectations. You can find a pretty nice, newly remodeled house in the Bowmanville section of Lincoln Square just north of Foster Avenue for $500,000(ish). That would afford three true bedrooms, two or more nice baths and finished basement living space. South of Foster Avenue and closer to transit gets a little tougher in the Ravenswood neighborhood of Lincoln Square and will take sacrifices in material finish level and size of the home. However, there are still solid opportunities at this price-point south of Foster Avenue for $500,000. Several homes sold last fall under $500,000 that were very nice but on the small side or needed a savvy sense for home improvement. That said, if you can spend up to $500,000 on your home purchase you should be looking for a house or two-flat with me now in the Lincoln Square area. We will see the best variety of properties in the next few months hitting the market and it's a great area to live! Perhaps the Bowmanville neighborhood of Lincoln Square? 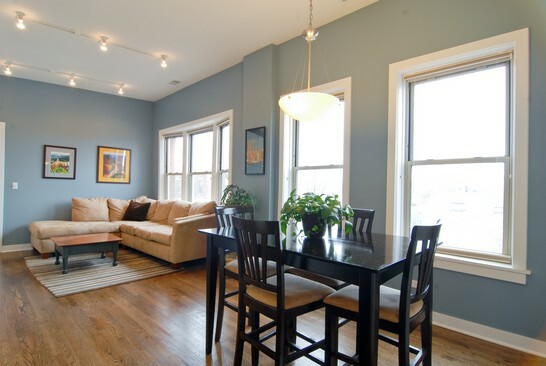 5006 N Winchester #3E Asking $259,900. Low assessment! 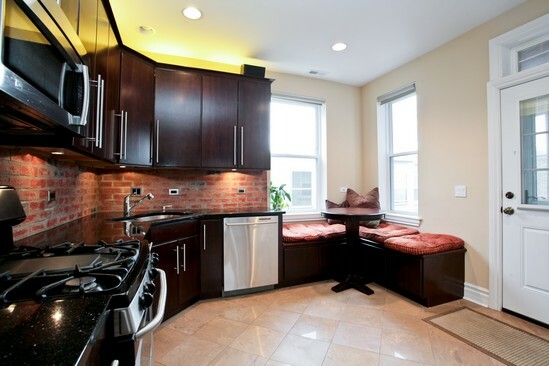 Our sellers have quickly reduced the price of this top floor two bedrooms, one bath condo. 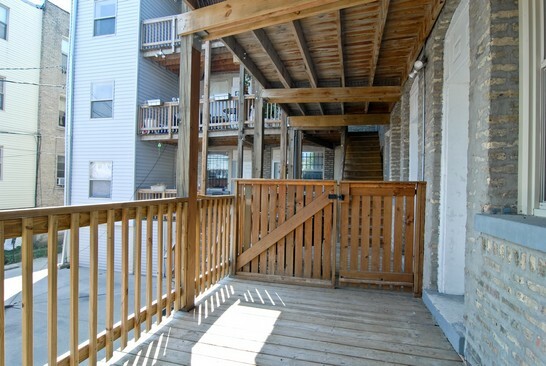 Features include parking, a deck off the kitchen, washer/dryer, storage, central air, surround sound and more. Call or email us for a showing of this home and others that may interest you. We are interviewing qualified clients looking to work with successful and aggressive Realtors. We add value, provide excellent service and help you make the right decisions! From time to time we take a shot at our industry because, well... we just can't take our own people some times. Today, I call for a moratorium on the word "stunning" in any Chicago Realtor home listing remarks. 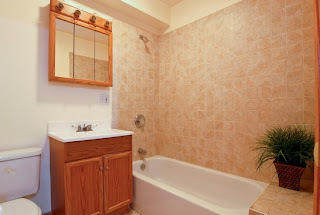 Unless of course, my client and I are physically paralyzed by the beauty, elegance and grace of your Lake View two bedroom, one bath condo with granite counter tops. Oh, and the $500.00 monthly assessment. We were back house hunting with clients last week on North Larrabee in Lincoln Park looking at a $599,000 town house with a great patio and yard. 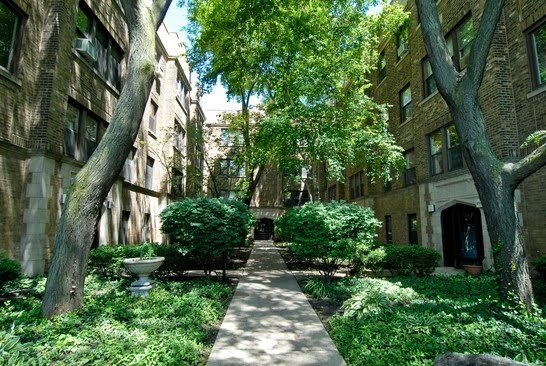 A popular stretch to look for two and three bedroom townhouses with garage parking is on North Larrabee Street from West North Avenue to West Armitage in Lincoln Park. The townhouses are located in the Abraham Lincoln Elementary School district attendance boundaries. This highly regarded school attendance district is great for families with children or those looking for stable real estate prices. The median price of closed town houses on this stretch in the last 12 months has been $560,000 for 14 closed two and three bedroom town houses. Some two bedroom units have sold for more than a few of the true three bedroom models. However, the choice models are true three bedrooms with an extra family room. 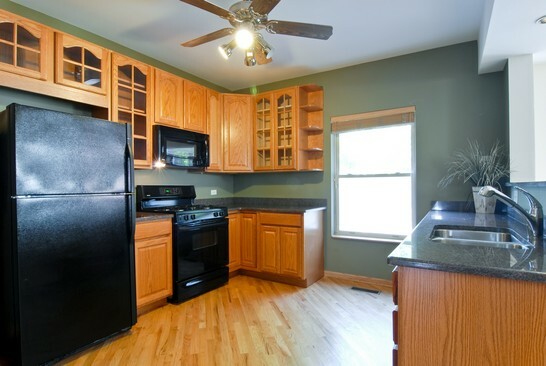 Good schools, eastern Lincoln Park, the lake, dining, Old Town... not bad for three bedrooms and more for $500,000! We had been busy with showings at 4055 N Wolcott #302 the last two weeks... And now it's has a terrific new price of $249,900. The owner says "sell". We were back in Oak Park again last weekend with clients looking for single family homes. A budget of $350,000 for a move-in quality home with at least three bedrooms and one-and-one-half baths affords many options in several sections of Oak Park. However, in certain areas near transit it appears many sellers are holding on to higher asking prices. This despite the closed comparable homes data of the last 6 months or so. My estimate is many sellers are coming on the market at least 10 percent too high and sitting. These are nice homes, but the relatively small number closed comparable and better priced homes (including short sales) make it hard for buyers to pull the trigger and pay too much. Many sellers are coming back on the market now at the same, or close to the same price as they went off the market late last season. That said, for the quality of life and well regarded schools of Oak Park, $300-$350K will be plenty for you to achieve the dream... a "move-in ready" single family home for you and your family. For those of you condo owners or apartment renters ready for a house...you'll love owning a single family home! It's great! Our strategy to is make market priced offers on over-priced homes... and always be ready for the few serious sellers coming on the market that CAN and WILL sell! We've been in South Loop this early spring season shopping for three bedrooms, two or more baths condos (including town house style homes). There have been a few compelling deals that have made the neighborhood once again an option for my downtown professional clients looking for value. Generally, I like clients to get as far "north" in South Loop as possible. The expanded area I like to show in South Loop is from West Roosevelt on the north to 18th Street on the south end. 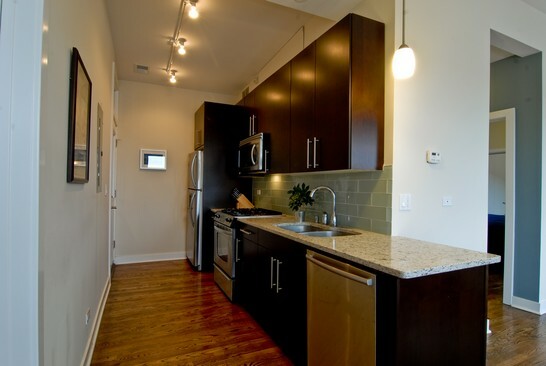 The further south will generally afford larger, less expensive loft spaces. While further north will get you a nice deal in a smaller loft, a mid-rise or high-rise that's closer to the restaurant and shopping action. The number of closed three bedrooms, two baths condos with garage parking in the last six months is dismal. When searching closed units in South Loop between 1100 block and 1800 block south, only six closed results come back. Closed prices range from $260,000 for a foreclosure in 1717 South Prairie high rise to $1,187,532 in One Museum Park West. It's crazy out here! Bump up to three bedrooms, three baths condos with garage parking and we have only six closings for the last six months as well... ranging from $405,000 to $1,200,000. Although the South Loop has been a saturated and depressed market over the last few years due to the many high rise units, it will still take a median price of $500,000 to get a nicely finished three bedrooms, two or three baths attached unit with garage parking included. More so if you're considering a town house near the lake on a street like South Indiana or South Prairie. With a modest home renovation budget but "better than Home Depot taste", go to Crest Lighting at 3300 North Sheffield Avenue in the Lakeview neighborhood. They have great selection of in stock items (orders often take less than three weeks) and good prices. I'm thinking of this pendant light over the guest vanity mirror. Under $100.00. While showing properties after the Blizzard of 2011 last week, we looked up. Why fight the weather down on the streets? East Lakeview has many attractive, full amenity buildings with bargain priced condos or high style luxury and lake views. Many with valet parking. After facing the Chicago side streets during the storm, wouldn't that be nice? 5006 N Winchester #3E, $259,000. 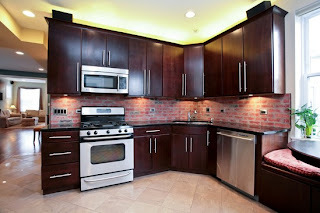 Best kitchen for the money! Just listed before the Blizzard of 2011! Great Ravenswood location. Open floor-plan, two bedrooms, one bath, large dining room, eat-in kitchen, washer/dryer, central air, deck, and parking included. Low taxes and assessment. View the interactive floor-plan HERE (click the floor-plan tab at the link). 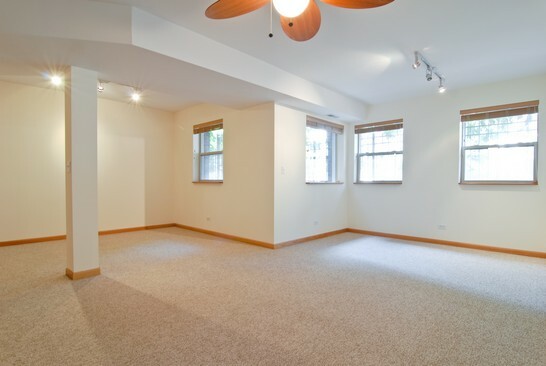 For Sale: Huge duplex home in Albany Park! 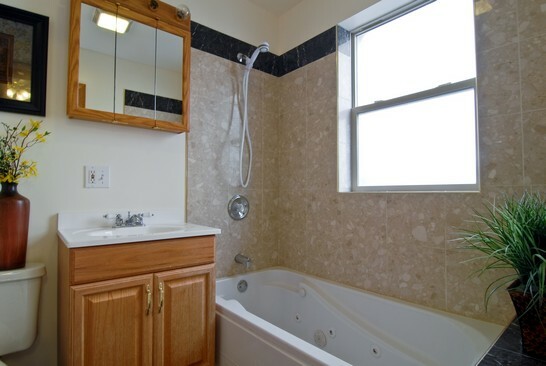 Three bedrooms, three baths, parking, $209,900. 3653 West Leland #1E $209,900! 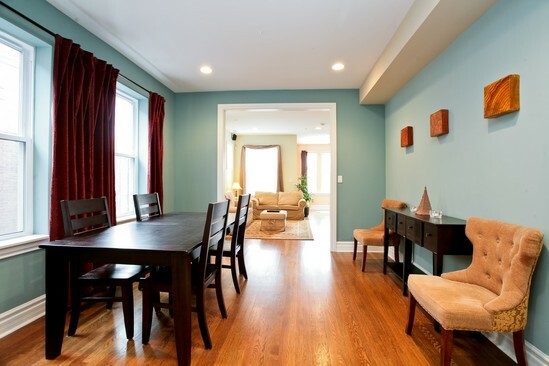 Great Albany Park deal on huge home. Duplex down with great light on lower level. Huge windows. Check out the photos! 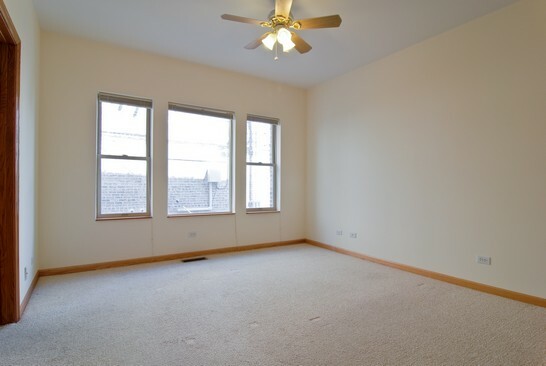 Close to CTA Brown Line, groceries and staple amenities. I showed a townhouse on the aesthetically pleasing 2200 block of North Lakewood in Lincoln Park Sunday morning. Unlike much of the city, the block had no "dibs" (no saving of street parking). For this fact alone I suggested my clients buy on this block! Watch more real estate and blizzard video here. 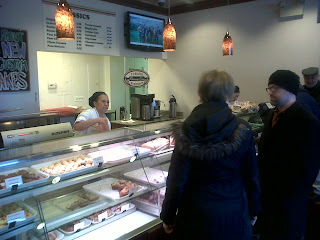 We stopped at the Turano Bakery store on Roosevelt Road for danish and coffee...looking at houses is hard work! We were EVERYWHERE this busy weekend in real estate...including Oak Park. Clients of mine have a growing family and want to move from their Chicago condo to a single family home. With many of their friends and co-workers also living in Oak Park it has become the best option for their budget and work commutes. We saw several "American Four Square" style homes that are prominent on many blocks of Oak Park. Although close to the train stop, my client contemplates living this close to the highway shown just in the background. Bob and I have been through renovations of old homes. Our clients are counting on us to help them make a good decision on which of these old homes is move-in quality and a good candidate for affordable renovations. "Dibs" directly in front of my house. These particular neighbors are what I call "dibs hoarders" as they have a garage and take up two dibs spots on the street. I hate dibs. However, my whole street is dibbed out (even healthy able bodied neighbors) so there is little that I can or want to do. It's tolerated. On the other hand, if someone was visiting us and the only spot available had lawn chairs...well the chairs would be in the garbage. That street is public and paid for by our many transaction and property taxes. "The Straight Dope Chicago" writes the comprehensive and timely primer on dibs in Chicago. Read it here and draw your own conclusions. This Landrosh Development new construction, extra wide executive quality home is located at 2152 W Giddings in Lincoln Square. Giddings is arguably the "best" street in Lincoln Square and boasts several high end single family homes sales over the past couple years. This is just one block from the popular Giddings Plaza, home of shops, restaurants and lots of fun (and free) entertainment. A look at neighboring homes down snowy West Giddings Street in Lincoln Square. This same model house a few blocks south on West Sunnyside captured just over $1.8M about two years ago. At 7 bedrooms, 4 full and 2 half-baths there is no want for large family and guest accomodations. And who wouldn't wnt to visit this masterpiece in one of Chicago's great amenity filled and friendly communitiies? View more House of the Week posts HERE! Home Inspector Gene Bobrov of Accu-Spection takes a look at the condo building's boiler. He's looking for signs of deferred maintenance. We'll also get updated maintenance records from the association. 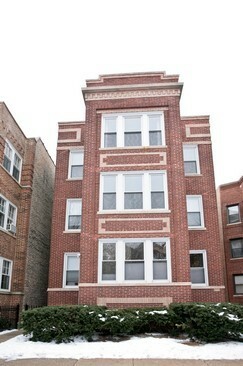 We met our first-time-buyer client this afternoon in East Lakeview for her property inspection. In many East Lakeview vintage buildings the heat and electrical sources are located in the building's common areas. Here, the electrical panel for our client's unit is also located in the common basement area. 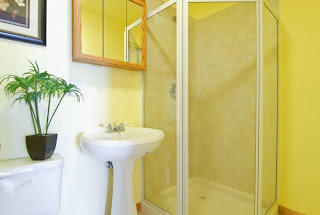 We make sure all common areas can be accessed by our clients at their property inspection. Even the cat checked out okay! Read more Home Buying Tips here!